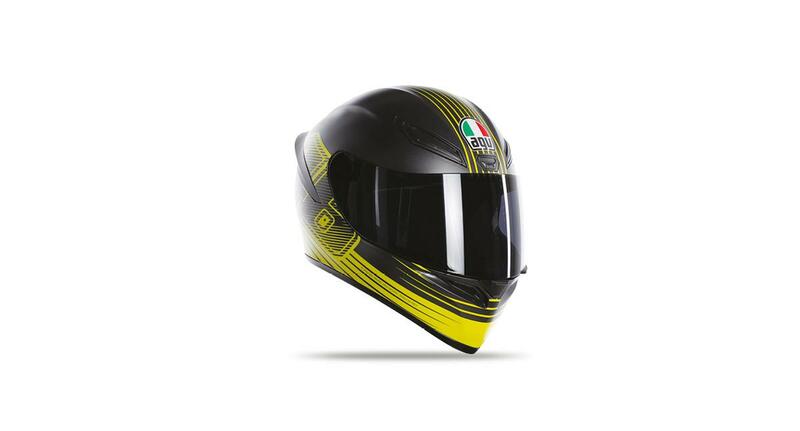 The AGV K1 is a full-face cone-shaped helmet based on the company’s Pista R and K3 SV series helmets. It features two double-eyelid diagonal air intakes and a polygonal wind ventilation in the center, all using the same switch as the AGV Corsa R. It sports a unique beak design for its chin which has two cavities which further maximizes air circulation. The spoiler design is both aesthetically pleasing and functionally effective in improving the stability of the windscreen which is compatible with AGV’s K3 SV, K5 S, and Compact models.